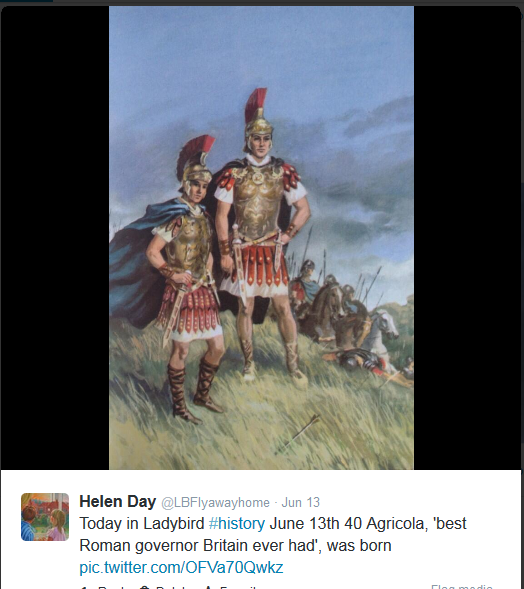 Recently I’ve been having a lot of fun sending daily tweets along the lines of: on this day in history … I find a historical fact and then illustrate it with a relevant picture from a Ladybird Book. The problem is, the sources of historical ‘facts’ that help me to do this seem rather limited. Given the breadth of depth of the terrain that Ladybird Books covered, there is so much more scope than I can easily produce using this method alone. The answer then, I thought, is to reverse the process: start with the books and then put together a calendar of events illustrated in Ladybird Books. This approach though, it turns out, also has its problems. Surprisingly, Ladybird Books are rather thin on dates. Actually, perhaps that’s not so surprising. The vim and gusto of writers such as L du Garde Peach always put narrative ahead of objective detail; telling a story way ahead of being objective. And that must be a large part of the reason why the History books were so incredibly successful for so long. They were easy to read and didn’t feel like school. Why else would so many of us have chosen to part with our meager pocket money on them when we weren’t forced to? The result? Many an evening is now passed by me in front of the telly with a clutch of old Ladybird Books and access to the internet. 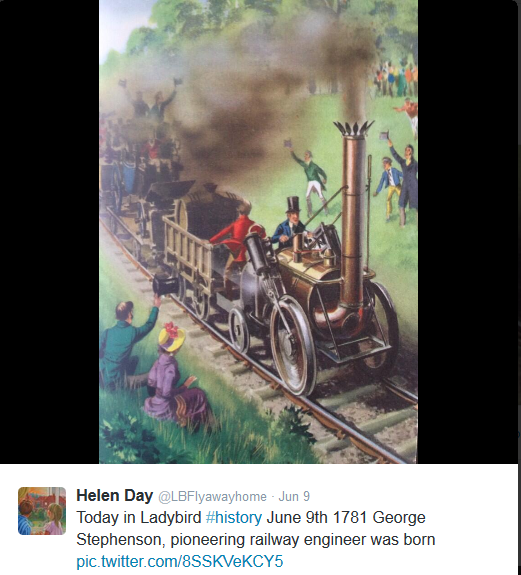 I look for interesting events portrayed in Ladybird Books and then try to find a date for them. Last night, for example, I ‘battled’ my way through the Wars of the Roses, trying to find dates for the most interesting pictures in Warwick the Kingmaker. Little by little I’m trying to build up a calendar – so there’s at least one for every day of the year. Sad? Perhaps. But I’m learning lots too. Frankly, working on this I’m in geeky Ladybird heaven!